In the day to day the Chaplain is a pastoral support to students to aid their development and formation so as to “have life and have it to the full”(John 10:10). 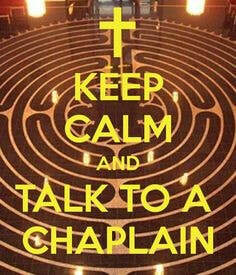 The role of the chaplain is both Educational and Ecclesiastical. This means the Chaplain has a special concern for the wellbeing of the student as a whole person, body, mind and soul. The Chaplain’s room has a welcoming space; where there is time to listen, to engage with students where they are at. It is also the roll of the chaplain to assist students to find a language to help them express themselves. The spirituality of young people is a central focus of the Chaplain who does this through Religious Education, Liturgies, prayer gatherings within the school, meeting parents and forging school/parish links where possible. Empowering students, encouraging self-esteem and in particular being positive in a non-judgmental manner with students is a daily part of the Chaplain’s presence. The School Chaplain respects the uniqueness of each person and their story is treated with sensitivity and confidentiality. In the chaplaincy role helps celebrate the giftedness of each individual student and supports students to find avenues to develop to their full potential. Since the inception of Portumna CS, its ethos has been to support to holistic development of school community. This school, committed to the “social, moral spiritual development…” arisen from the spiritual traditions of the schools founders. Chaplaincy has featured as pivotal role in this “full development” of each student. The role of chaplain takes its origins from the traditional role of Christian pastoral care-giving; is offered inclusively to the whole community; and aims to promote human flourishing so that all may attain their potential. The schools ethos, is an amalgam of a school’s implicit values, priorities, relationships and way of being- as a central, formative factor in the development of young people and their spirituality. I am honoured to hold the position as Chaplain and to have been so warmly welcomed into Portumna CS. I consider it a privilege to work with young people and to walk with them through their adolescence. Young people need someone to believe in them, to encourage them, to give them time, hope and care. For me the role is rooted in Gospel values, but above all, in the wellbeing and pastoral care of the school community.